Amazon Echo continues to add features of all sorts. There's now integration with IFTTT, sports news and a growing number of home automation capabilities. The latest company to announce its plans with the Amazon device is Nexia. The company is unveiling its latest products and integrations this week at the Consumer Electronics Show in Las Vegas. "A lot of gadgets profess to be helpful for the smart home but instead make many people wonder when they would ever use them," said George Land, general manager of Nexia. "Our goal is to continue developing and advancing smart home solutions that fit into the rhythm of most people’s daily lives, solving everyday problems, and that work as promised month after month, year after year". Windows 10 is a big part of this. The app is already available, only being slightly improved. The company claims that its one of platforms most popular apps. It's built on Microsoft's Universal Windows platform, meaning it can run on all devices. 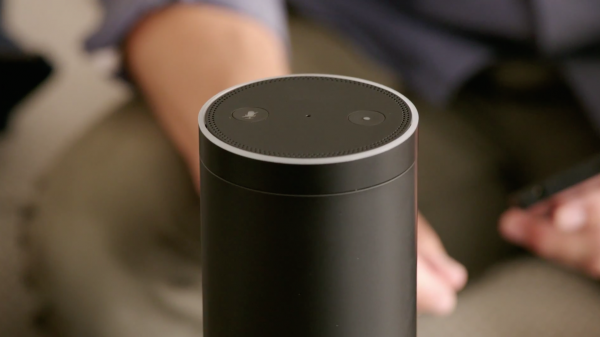 The biggest feature being added is the ability to control through Amazon's Echo device. Known more popularly as Alexa, the device takes voice commands from anywhere within range. From your couch you can tell it to play music, ask for the weather or turn lights on and off, depending on the system you are using. "Users can talk right to their smartphone to execute all their programmed automations or control individual devices, giving them greater versatility and access than through Siri or other virtual assistants. With Amazon Echo, users can ask the hugely popular device to act as another easy-to-use way to control their smart home and control major household systems with simple voice commands", the announcement reads. Like many CES announcements, there's no word on availability so we'll just have to wait and see.